Circa 1929. 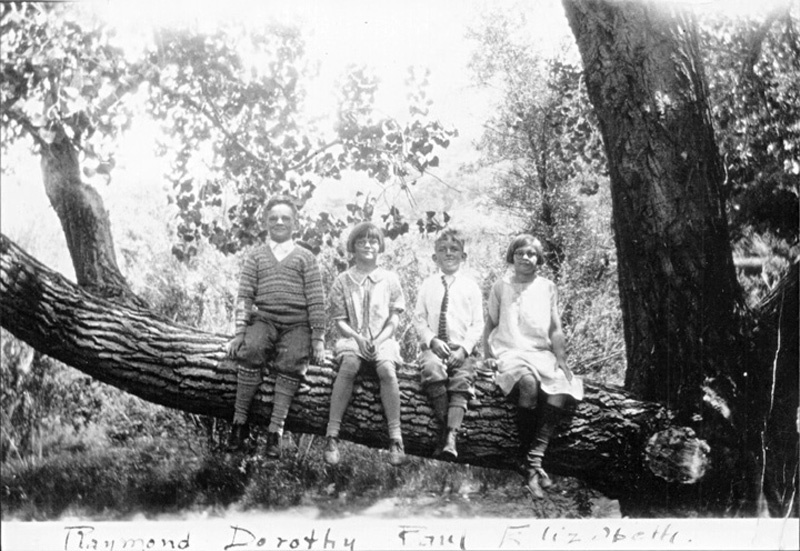 From left, Raymond, Dorothy, stepbrother Paul Dietz, Elizabeth. Sitting on a branch of one of the many huge oak trees surrounding "the house on the hill" above Newhall. Identification by Dorothy Kupcha Leland, daughter of Dorothy Lewis Kupcha. KU2901a: 9600 dpi jpeg from copy print.